Not sure our program is a good fit for you? Try a free class! We offer a free class quarterly, shortly before the beginner's cycle starts. The next Try A Class Night is Wednesday, January 2nd, 2019 from 6:30 to 8:00pm, followed by an Open House with refreshments. 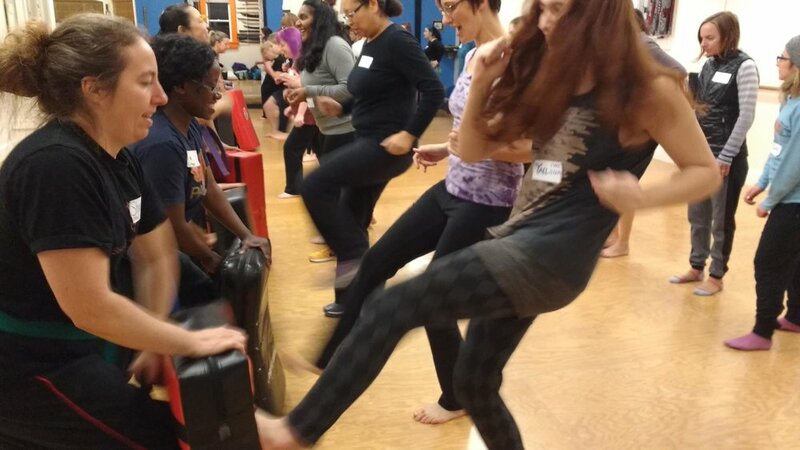 Try A Class Night is your chance to check out our martial arts style, Kajukenbo. We welcome all individuals who identify as women (age 13+), and non-binary/genderfluid folks comfortable training in an all women environment. No prior experience necessary. It’s a great opportunity to meet Seven Star students and teachers, and get a taste of our curriculum and teaching style. You’ll participate in the entire class. Wear comfortable clothing. You are also welcome to observe a class. Call (206) 720-1046 or e-mail info@sevenstarwomenskungfu.com to arrange the best time to watch a class.